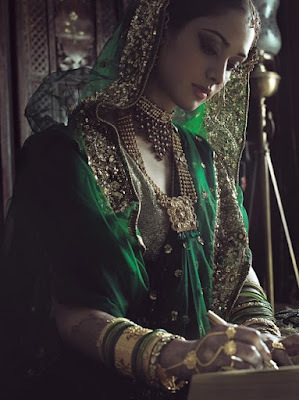 It's been a while since the last update. 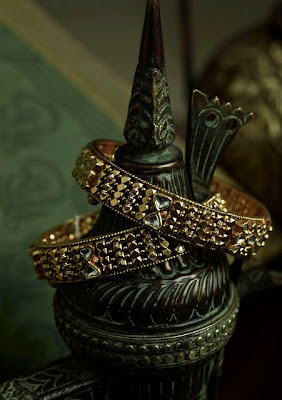 I've been so busy with wedding planning and work that I haven't had time to post on my beloved blog! So I'm taking some me time out today to get my fashion and Stylichic fix. 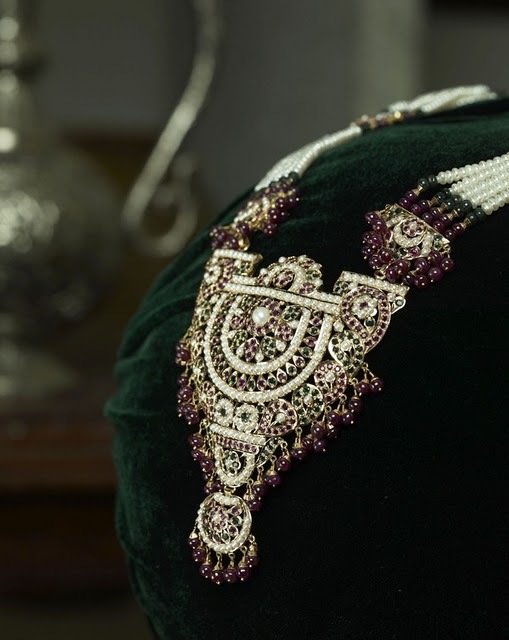 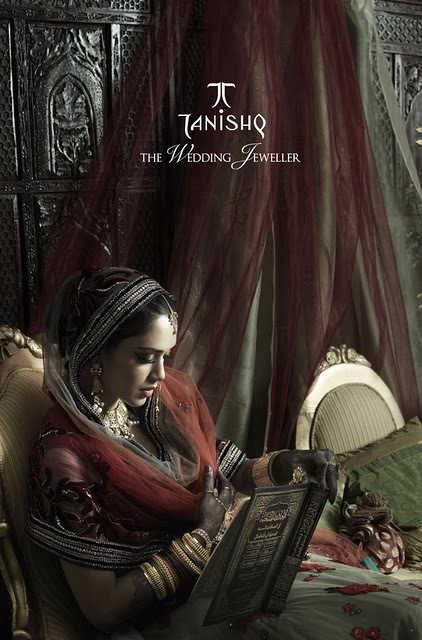 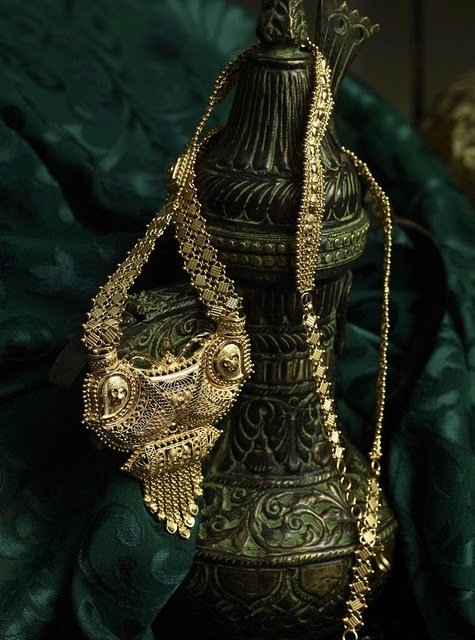 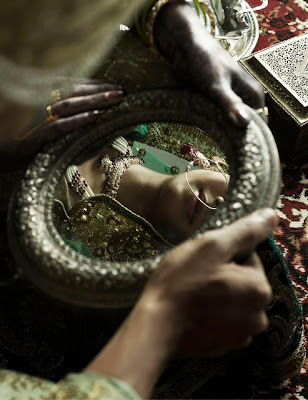 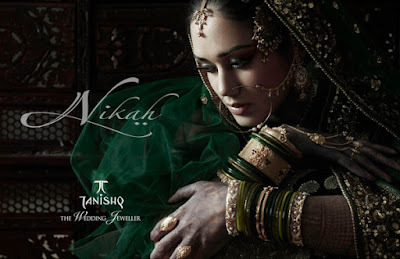 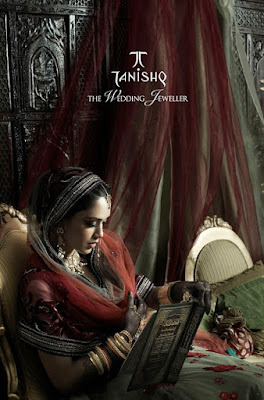 I was browsing websites and happened to stumble upon this editorial by Tanishq. How gorj are these pics? 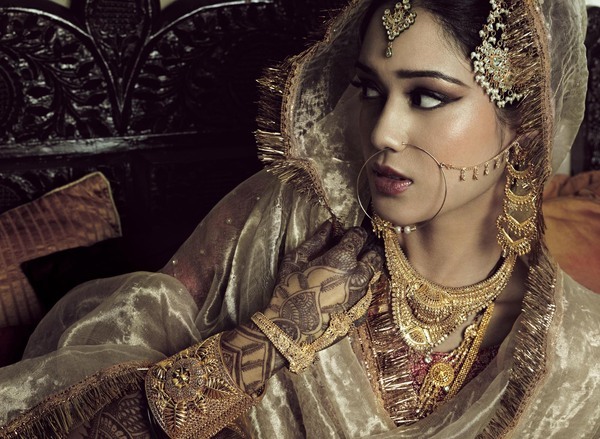 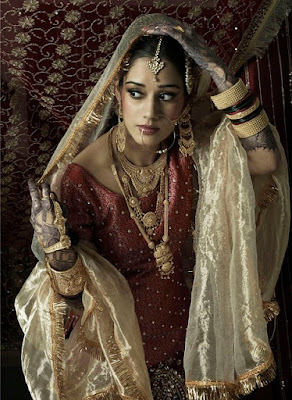 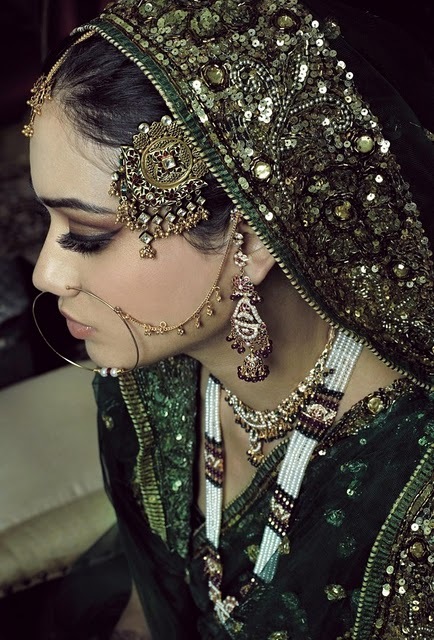 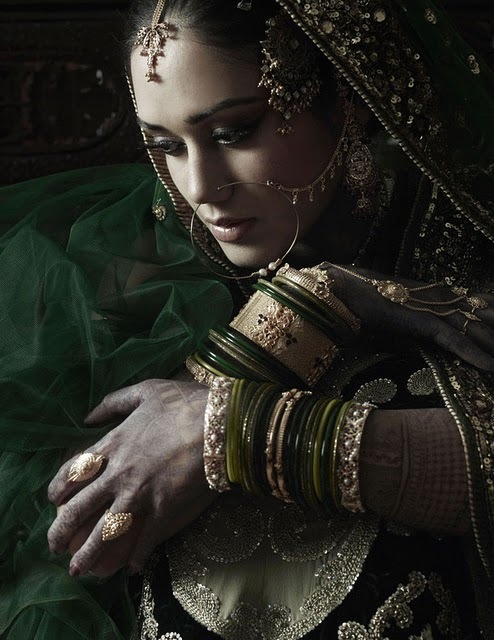 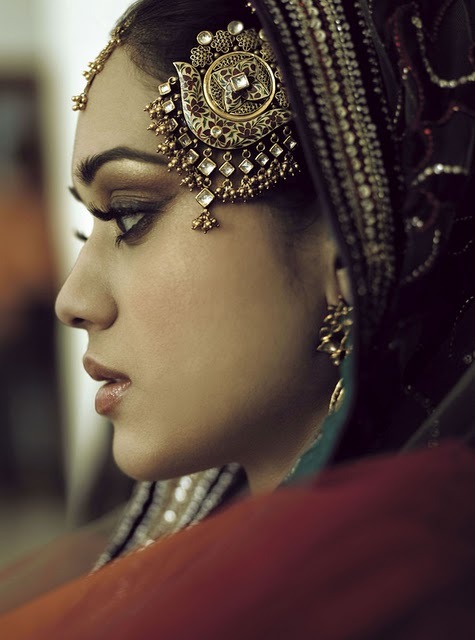 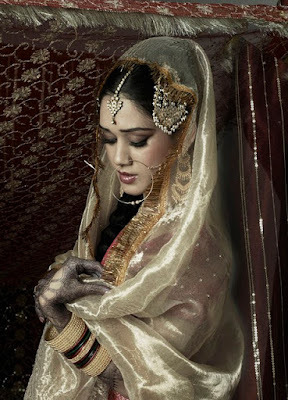 I especially love the mehndi green colour she's wearing, not to mention the classic skinny gold naath (nose ring).